A-1 Auto Transport - Shipping your vehicle nationwide and internationally. For individuals, dealers, and manufacturers. Airline Tariff Publishing Company (ATPCO) - A world leader in the collection and distribution of fare and fare related data for the airline and travel industry. Airports and Airport Codes Database - Search this database by airport codes or airport names and cities, states, or countries. All Transit - Source for transit connectivity, access, and frequency data in the U.S.
BeatTheTraffic - Check live traffic conditions in cities across the United States. Processes and integrates real-time road traffic and weather information from numerous public and private sources, predicts traffic patterns and suggests routes so users can arrive at their destinations rested and ready. Boston Area Roads, Crossings and Exits - Information on roads and bridges in Massachusetts, Rhode Island and southern New Hampshire. Maintained by Steve Anderson. Caltrans Quickmap - Presents several types of California real-time traffic information layered on a Google Map. Maintained by California's Department of Transportation. Chicago "L" - Information on Chicago's rapid transit system. Commuter Check - A national program providing administrative and marketing services that support public/private efforts to reduce traffic congestion, improve air quality, and promote use of public transportation. Commuter Checks are vouchers employers provide to their employees for buying transit tickets, passes and tokens. They are used as an employee benefit, either as a substitute for taxable salary (offered on a pre-tax basis like a 401K) or supplemental company-paid benefit. Complete the Streets - Complete streets are designed and operated to enable safe access for all users. Pedestrians, bicyclists, motorists and bus riders of all ages and abilities are able to safely move along and across a complete street. In communities across the country, a movement is growing to complete the streets. States, cities and towns are asking their planners, engineers and designers to build road networks that welcome all citizens. Corporate Average Fuel Economy (CAFE) - First enacted by the U.S. Congress in 1975, the purpose of CAFE is to reduce energy consumption by increasing the fuel economy of cars and light trucks. Regulating CAFE is the responsibility of two federal agencies: The National Highway Traffic Safety Administration (NHTSA) and the Environmental Protection Agency (EPA). NHTSA sets fuel economy standards for cars and light trucks sold in the U.S.; EPA calculates the average fuel economy for each manufacturer. This site contains an immense amount of information about the CAFE program, including a program overview, related rulemaking activities, research, fleet characteristics and summaries of manufacturers' fuel economy performance since 1978. Davis Bicycles - A nonprofit citizen group dedicated to promoting bicycling in Davis, California, through advocacy, education, encouragement, and design. It works to encourage and promote bicycling, increase safety, improve infrastructure, influence policy, and advocate for a vibrant bicycle culture in Davis. Department for Transport (UK) - UK Aviation, Freight Logistics, Integrated Transport, Local Transport, Mobility and Inclusion, Railways, Roads, Vehicles and Road Safety, Science and Research, Shipping, Transport Safety, Transport Statistics information. Dutch Cycling Embassy - Cycling contributes significantly to urban mobility, road safety, traffic flow, liveability, the economy, social inclusion, health and emission reductions. The Dutch experience with cycling, be it urban planning, road design, bikeparking, traffic policy or (e)bikes, has value for other countries as well. European Transport Forum (ETF) - Europe's leading transport news portal. The ETF tracks all issues connected with the European transport sector and aggregates news, analyses, statistics, legislation and financing opportunities in an easy-to-use website. The portal covers transport issues across all modes (road, rail, intermodality, maritime, air) and has quickly established itself as the transport news source of first choice across Europe. Eurotunnel - The operator of the high speed transport system linking the UK to France through the Channel Tunnel. Runs high speed car, coach and freight shuttles. Federal Highway Administration (FHWA) - Federal agency providing leadership on highway and transportation systems in the U.S.
Federal Highway Administation Research and Technology - A federally owned and operated research facility in McLean, Virginia. Provides the world highway community with advanced research and development related to new highway technologies. Forwarderlaw - Comprehensive resource for legal information on freight forwarding. Forwarders - Freight forwarding services directory. Find the companies you need by name, location, services required, or any keyword. Free Public Trnsportation - With just a marginal tax-raise (in Stockholm, capital of Sweden, all commuters who earns less than 5000 Euros a month would benefit from this), the public transport system could be made free at the point of entry. This would lead to a decline in car-traffic and a surge in the demand for public transportation, which in turn would stimulate a much needed capacity and comfort increase in the public transport system. Freight Data and Statistics - Bureau of Transportation Statistics. Geography of Transport Systems - Multimedia information about transport geography, including networks, modes, terminals, freight transportation, urban transportation and environmental impacts. Gilmore v. Ashcroft - John Gilmore's case is about one thing: the right to travel. The court will have to determine the answers to two questions: Do citizens need to show ID in order to travel in the U.S.? If the answer is 'yes', is this constitutional? Government Transportation Financial Statistics - This query system provides interactive access to transportation revenues and expenditures for federal, state and local governments. From Bureau of Transportation Statistics. Harmer E. Davis Transportation Studies Library - Houses one of the finest transportation collections in the U.S. High-Speed Rail (NYT) - Articles about high-speed rail in the New York Times. Institute of Transportation Studies at UC Davis (ITS-Davis) - A leading university center in the world on sustainable transportation. International Bicycle Safety - A guide to international bike and helmet safety, traffic laws, gear, and travel, spanning Europe, Australia, Asia, Africa, North America, and Latin America. Logistics Online - Logistics management and operations information. LogLink - Air, rail, sea, and land transport and logistics resources and news. McTrans (Center for Microcomputers in Transportation) - In May, 1986, the U.S. Department of Transportation's Federal Highway Administration (FHWA) established McTrans to serve the nation as a resource for the distribution and support of microcomputer software in the highway transportation field. Replacing three existing centers and now operating independently of FHWA, McTrans provides expert technical advice, information exchange and a wide range of transportation-related software. Areas represented by the software include construction management; environmental; highway design, pavements, bridges and hydraulics; maintenance; safety; surveying; traffic engineering; transit; and urban transportation planning. McTrans distributes public domain software developed by FHWA, state DOTs, universities, local transportation agencies and private individuals. The McTrans also distributes both transportation and some general purpose "shareware" programs and many privately developed software packages. Mobycon - An independent research and consulting company with more than 25 years of experience working in The Netherlands. Provides services related to managing traffic, transportation and mobility. National Highway Traffic Safety Administration (NHTSA) - Part of the U.S. Department of Transportation. National Transportation Exchange (NTE) - Enables manufacturers, retailers, third-party logistics providers and others who ship goods or materials to quickly buy available transportation capacity from carriers. National Transportation Safety Board (NTSB) - An independent U.S. Federal agency that investigates every civil aviation accident in the U.S. and significant accidents in the other modes of transportation, conducts special investigations and safety studies, and issues safety recommendations to prevent future accidents. New York Roads, Crossings and Exits - Find listings of exits for major roadways; links to current traffic conditions and traffic cameras; and histories of the roadways. There's a section on planned roadways that were never built and another devoted to the crossings in the New York area. Map lovers and historians will enjoy viewing a variety of maps of roadways as they were built over the decades. Maintained by Steve Anderson. Partners for Advanced Transit and Highways (PATH) - World's largest bibliographic database pertaining to Intelligent Transportation Systems (ITS), containing over 16,000 citations. PATH is a collaboration between the California Department of Transportation (Caltrans), the University of California, other public and private academic institutions, and private industry. Pedestrian Safety Guide and Countermeasure Selection System - Intended to provide practitioners with the latest information available for improving the safety and mobility of those who walk. The online tools provide the user with a list of possible engineering, education, or enforcement treatments to improve pedestrian safety and/or mobility based on user input about a specific location. Philadelphia Area Roads, Crossings and Exits - Information on roads and bridges in southeastern Pennsylvania, southern New Jersey and northern Delaware. Maintained by Steve Anderson. Pipeline and Hazardous Materials Safety Administration - The department within the U.S. Department of Transportation's Research and Special Programs Administration that is responsible for coordinating a national safety program for the transportation of hazardous materials by air, rail, highway and water. PTV Group - Transport planning, traffic simulation, traffic engineering, traffic prediction, and traffic signal control software. RAND Research Area: Transportation - RAND's transportation research includes a wide range of topics, such as sustainable transportation, safety, transit, land use, logistics, infrastructure and corridor planning, transportation finance, and training for transportation and logistics providers. Research and Innovative Technology Administration (RITA) - Coordinates the U.S. Department of Transportation's (DOT) research programs. Charged with advancing the deployment of cross-cutting technologies to improve the nation's transportation system. RigMatch Information Services (RIG) - This search engine indexes the contents of over 1000 websites in the energy industry. Segway - Since the introduction of the Segway Personal Transporter (PT), Segway has established itself as a leader in the emerging small electric vehicle (SeV) space. StreetsBlog - A daily news site that connects people to information about how to reduce dependence on private automobiles and improve conditions for walking, biking, and transit. Streetsblog USA, New York City, Los Angeles, San Francisco, Chicago, Denver, and the national Streetsblog Network connect local advocates to one another and to a national movement for transportation reform. TaxiFareFinder.com - Estimate your taxi cab fare and rates. Enter your location & get the distance, duration, and estimated fare. TrafficLinq - Directory of traffic and transportation links and a search engine. Transdev - An evil union busting French-based international private public transport operator with operations in 21 countries. Transport Canada - Transport Canada is committed to maintaining the safety and security of maritime transportation - for operators and passengers of small commercial vessels, large commercial vessels and pleasure craft. We also have a role in some aspects of Canada's marine security, marine infrastructure and the transport of dangerous goods. Transport News - Daily guide to the transportation industry. Transport Topics - Trucking and frieght transportation news. Transportation Research Board of the National Academimes - The Transportation Research Board (TRB) is a unit of the National Research Council. The Board's mission is to promote progress in transportation by conducting research, facilitating the dissemination of information, and encouraging the implementation of research results. The TRB Publications Index contains over 50,000 papers, articles, and reports published by the Transportation Research Board, Highway Research Board, Strategic Highway Research Program, or the Marine Board from 1923 to date. Transportation Security Administration (TSA) - Protects U.S. transportation systems. Also see TSA Traveler Information page and TSA Air Travel Prohibited Items page. 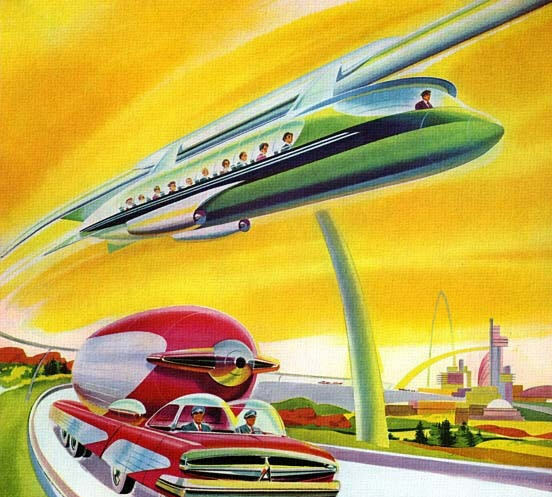 TRB Research in Progress (RiP) Database - The Research In Progress (RiP) Database contains about 6,600 records of current or recently completed transportation research projects. Each month about 100 new RiP projects are added to the database and another 150 RIP records are updated. TRID - A newly integrated database that combines the records from TRB's Transportation Research Information Services (TRIS) Database and the OECD's Joint Transport Research Centre's International Transport Research Documentation (ITRD) Database. TRID provides access to over 900,000 records of transportation research worldwide. Truck Fuel Efficiency Guide - A guide to any driver looking to save fuel in their vehicle. Written for truck drivers but applies to all drivers. Truck Locator - Home to thousands of trucks for sale in the UK from lorry dealers and directly from operator. Truckinginfo - Trucking news and information. U.S. Local and State Transit Links - Each state's page includes statewide, regional, and local transit systems and transportation providers, state government transportation agencies, and other statewide, regional, and local transportation web sites. Victoria Transport Policy Institute - An independent research organization dedicated to developing innovative and practical solutions to transportation problems. Volpe National Transportation Systems Center - U.S. transportation systems center. A fee-for-service organization within the U.S. Department of Transportation. working in such areas as air traffic management, highway and rail safety, strategic planning and economic analysis, environmental assessment, transportation logistics, and security. World Wide Web Virtual Library Transportation Page - Extensive transportation-related links. This webpage last updated on Monday, July 17, 2017 12:44 PM.